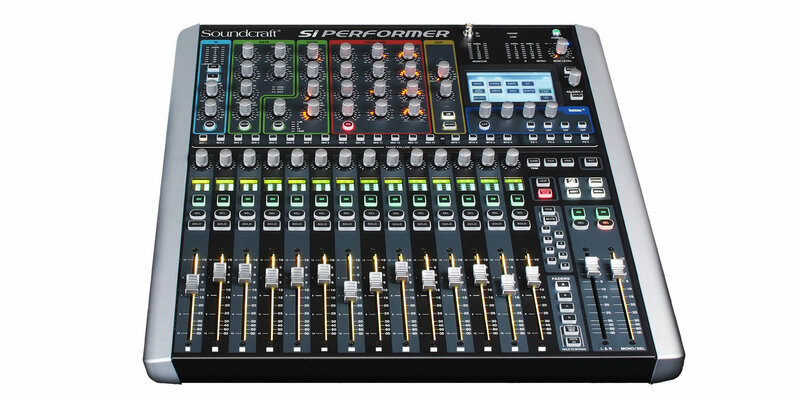 The Si Performer 1 features 16 local recallable mic pre amps and 8 stereo inputs along with two ViSi Connect™ option card slots with an additional 128x96 input/output paths (one 64x64 expansion slot and another 64x32 expansion slot). 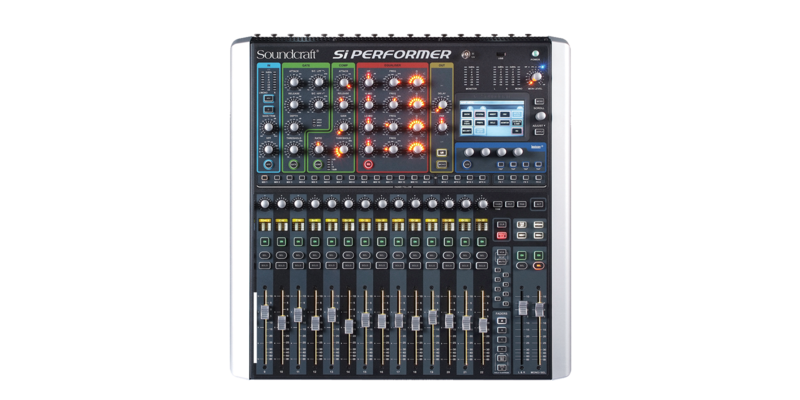 Able to utilise Si series ViSi Connect™ option cards, the Si Performer gives a large range of additional digital I/O connectivity including the MADI USB Combo, BSS Digital Audio Bus (BLU Link), Dante™, CAT5 or optical MADI, AVIOM™, CobraNet™ and others with a massive mix capacity of 64 mono inputs for a total of 80 inputs to mix. 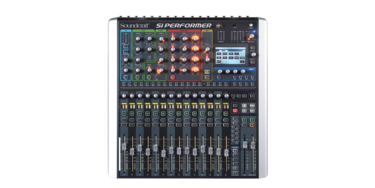 Each input channel has dedicated processing for high pass filter, input delay, gate, compressor and parametric EQ. 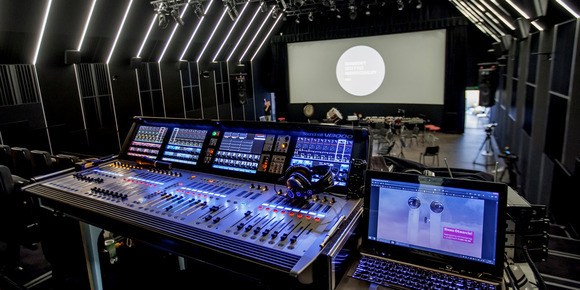 Keeping you in control are 8 VCA busses, 8 mute groups, FaderGlow and colour backlit name displays on every channel so you are never lost.